Dr Mahindroo is Director, National Accreditation Board of Hospitals and Healthcare Providers, Quality Council of India. A trainer cardio-thoracic surgeon, she has diverse experience in medical operations, hospital administration, policy development, and quality healthcare standard implementation. Prior to this she was General Manager, Clinical Operations – Moolchand Healthcare, Delhi, and was survey coordinator for JCI and NABH. 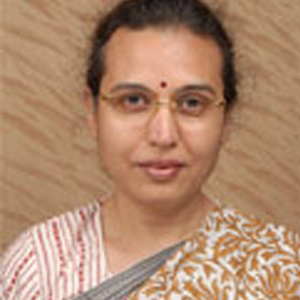 In the past, she has also has worked as Medical Director at Sitaram Bhartia Hospital, Delhi. As first Medical Director at Bhagwan Mahaveer Cancer Hospital, Jaipur, she commissioned the first regional cancer care hospital in Rajasthan.